We tested dozens of possible bed sheet sets to look for the best. Eventually, we extensively tested five and reviewed them on their quality and effectiveness. 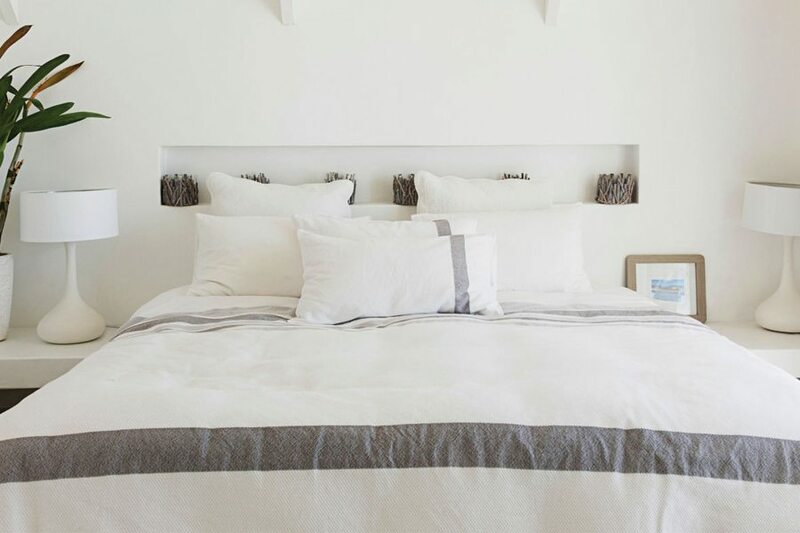 Bamboo Sheets by Cariloha are the most environmental-friendly sheets whereas Egyptian cotton styles impressively stood out. Waking up in a cozy bed can be one of the most pleasurable moments in your life. A person spends one-third of his life in bed so it’s imperative to make sure you have the most soothing bedding. A perfect bedsheet can improve your sleep and eventually your health. We tested several bedsheets from multiple categories and selected our top-picks on the basis of efficiency and durability. We shortlisted the bedsheets that are durable enough not to tear with a heavy cat’s claw and successfully passed our strength tests. On the other hand, we rejected many sheets that pop off the corners of mattresses or fall short on the sides of the bed, few wrinkle-free sheets that were unable to meet up their name and sheets with doubtful environmental claims. For instance, bedsheets claiming rayon textiles as eco-friendly bamboo. Whereas on a practical basis, as soon as the plain fiber is processed, it does not remain rayon or bamboo anymore. Additionally, the use of harmful chemicals during the manufacturing process does not make them 100% eco-friendly. We reviewed the top 5 bedsheets that come with higher thread count, shortened very little, and easily fit the mattresses up to 16 inches high. Though we have washed and dried them for six times and the results were same. You will sleep comfortably in Mayfair Linen’s splendid bedsheet set. The material is delicate and soothing. The exclusive bed sheet set comes with a top and bottom sheet along with two pillowcases. Offering a superior quality and versatility, the sheet will improve your sleep experience from usual to extraordinary. Coming towards the composition, Mayfair Linen guarantees you comfortable sleep with the 100% Mayfair linen cotton. The bedding is made of luxurious long woven cotton yarns. The cotton is cool enough that you will forget night sweats. The breathable fabric is creatively designed to keep you cool and comfortable throughout the night. Innovative techniques are used in the manufacturing process to keep these sheets soft yet durable. 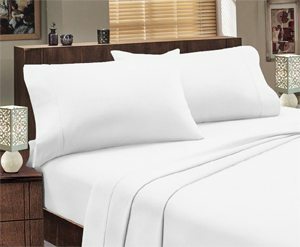 Mayfair Linen bed sheet comes with a 4-inch hem thus further adding deluxe experience. Italian Luxury bed sheet is one of the softest, silky and luxurious sheet. You will be amazed to see the elegant designs and extremely reasonable price. They make for a perfect item for any room in your house. The sheet is made with the highest quality workmanship. It is manufactured with 1800 series ultra-soft double brushed microfiber fabric which is woven with the ultimate artistry. The sheets are available in a variety of appealing colors including white, black, gold, navy etc. As far as the dimensions are concerned, the fitted sheet is 75″ + 18″,the flat sheet is 66″ by 96″, and the pillowcase is 20″ by 30″. You will also find 16-inch deep pocket fitted sheet for oversized mattresses along with elastic all around for a perfect fit. The Italian Luxury sheets are impressively resistant to fading, shrinking or wrinkling. They are easily machine washable. They are more reliable compared to cotton sheets. In addition to that, they are hypoallergenic and resistant to dust louses. The Classic Bamboo Sheets by Cariloha are made of remarkably soft and luxurious Viscose from Bamboo fabric. The material is twice soft as cotton thus giving you a more comfortable and eco-friendly experience. The naturally breathable and moisture-wicking material makes these sheets impressively cooler compared to others and keeps you relaxed for the entire year. The sheets fully resist odors and allergens which prevent skin irritations that may result in severe infection especially for people who have sensitive skin. On top of that, Classic Bamboo Sheets by Cariloha comes with a lifetime quality guarantee which is exceptional. Even after several washes, you will still get a classic quality sheet. Pinzon Signature Flannel Sheet comes with 100% combed cotton for ultimate strength. The combed yarn goes through a long process which merges the fibers up straight so they run parallel thus producing a strengthened and compact yarn. In the manufacturing process, short and uneven threads are fragments are completely removed to make the sheet soft and comfortable. The combed yarn is comparatively longer and known for its optimal strength, superior presentation and highly smooth hand feel. Flannel is a woven and brushed-cotton fabric which does not determine by the total thread count but by the number of ounces it requires to form a square yard. The bed sheet has a flannel weight of 190 grams per square meter which offers incredible durability and flexible softness. Finally, it’s a perfect item to keep you warm during winters. 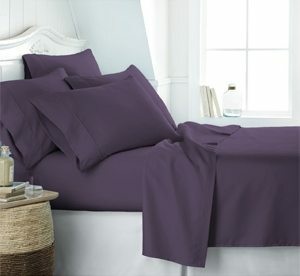 The Nestl Bedding features classic quality microfiber and workmanship to make it long lasting. The fabric is brushed on dual sides so it remains impeccably soft. The sheets are available in multiple amazing colors to make your bedroom look beautiful than ever before. The sheet makes you feel better by providing a comfortable sleep so you can wake up in the morning with a fresh mind and body. These sheets come with various dimensions including one flat sheet are108″x102″, two fitted sheets is 80″x39″, and two pillowcases are 20″x40″. 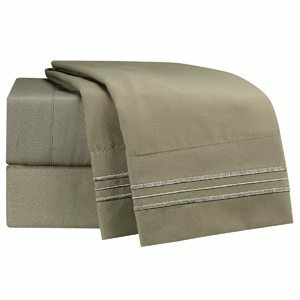 Additionally, the deep pocket fitted sheet gives a perfect snug to 16-inch mattresses. If you have a sensitive skin and you’re more prone towards allergies, then probably Nestl Bedding can be a great choice as it is hypoallergenic and fully resistant to dust ticks. Finally, it offers a lifetime warranty and you will receive a 100% money back refund in case of any defect. Sheets are not a complicated product to buy. However, the quality varies from one another as not every sheet fits well, don’t shrink, highly tough and reasonably priced. So, if you are looking for a sheet that comprises of these features then you must consider the following factors for a better understanding. When you purchase a new bed sheet, you can’t figure out on how the sheet will feel once it is washed. A sheet is treated with fabric relishes and softeners to increase hand feel. Yet, you can have an idea through its weave. 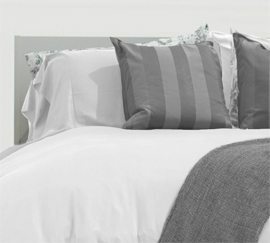 For example, percale is closely woven and feels crisper whereas sateen gives a softer and shinier look. Likewise, twill weaves produce a heavy fabric that feels softer or crisper. Before purchasing a new sheet, make sure to measure your mattress height including the mattress pads. Keep in mind that the padding settles so it’s better to measure 2-3 spots away from the angles. Look for sheets that are few inches deeper to permit for a normal shrinkage. It is advised to wash your sheet and remove finishes or excessive dye before using them. After washing it, if you find excess shrinkage or fading you can return them back. Also, you will need the receipt to return them back if the set is missing some pieces. Thread count is the number of both horizontal and vertical threads per square inch. 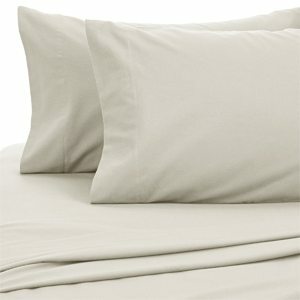 The more the thread count is, softer will be the sheet and more likely it will enhance the overall softness and quality. Usually, good sheets come with 200-800 threads though you might see numbers above 1000 as well. At the same time, it is not always necessary that a low thread means low-quality sheets. You will find even 200 count cotton sheets with excellent finish and will feel like a higher thread count sheet. Nowadays, minimum chemicals and more power-drivenfinishing are used these days which gives a nice touch and effective performance. If you have limited budget, you can look for a 200 count combed cotton sheet from a renowned brand and it will likely to have high verification standards especially for the finishing processes. Finishing is a crucial factor which keeps away from shrinking, losing the shape and crumpling. A variety of sheets are treated with certain elements including chlorine, silicon, formaldehyde and other alkalis to produce a quality finishing. Some manufacturers offer pure finish sheets in which no chemicals are used during the manufacturing process or they have been removed completely. 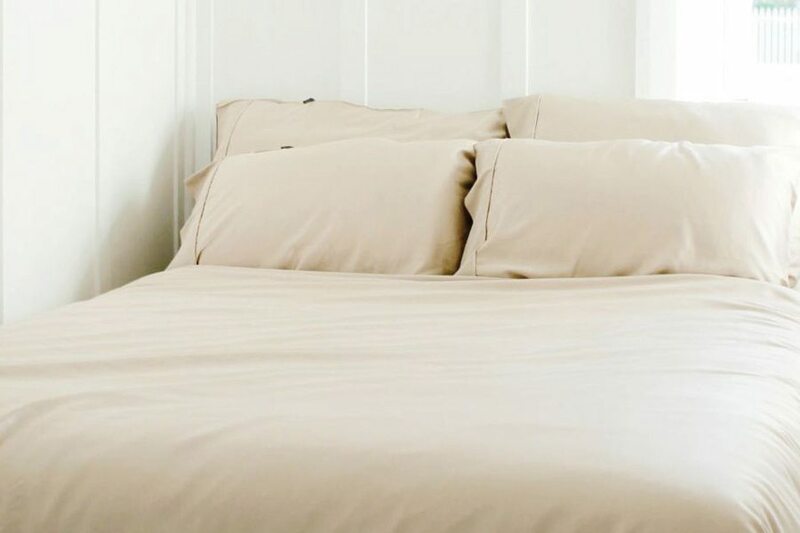 Though such sheets will be hard to remain wrinkle free, it will be worth purchasing if you have a tendency of suffering from allergies or chemical sensitivities. Another wise option is organic sheets which are not smoked with chemicals and are interlaced from cotton grown. Both natural and synthetic materials are used in bed sheet production. Different materials come with their own features so it’s important to know the basics before purchase. Cotton is a common source of the fibers used in the bed sheets. These are soft and breathable that eventually makes for some of the best comfortable sheets especially if you want to get rid of roasting summer’s heat. You will also find combed cotton in which the shortest fibers are removed for a stronger weave. These sheets are treated well and last for years. However, they do get wrinkly so it’s better to dry them as soon as you wash them and iron them before use. Supima and Pima are a famous forms of cotton that comes with extra-long fibers. They have classic quality compared to basic cotton and also a little more costly. The major advantage of these fibers is that they absorb more dye than casual cotton which gives vibrant prints and colors. These are known for high reliability. However, they are produced in an extremely less quantity so it might be tougher for you to find it. Egyptian cotton comes with long fibers which are twisted to form thin yet highly durable strands. This is the highest quality and most lavish material offered for bed sheets. The sheets are designed for long-term use and maintain quality no matter for how many times you wash them. Also, they get softer with the passage of time. Make sure to wash them moderately with the use of subtle detergents. Bamboo is a reliable choice for environmentally conscious people. The material is anti-microbial and stink resistant. Bed sheets made of bamboo are long-lasting and soft. For people having sensitive skin, these sheets make for a very good option. Cotton rich sheets are commonly made of 50% cotton and 50% polyester. These are comparatively less expensive than 100% cotton sheets. The use of polyester makes them more resistant to wrinkles. Also, they offer a nice presentation. Synthetic sheets come with a different construction and feel. They are soft and more resistant to stains. They are capable of retaining more body heat which makes them a cozy option for winters. Also, these sheets are easy to maintain. A lot of people usually spend time while looking for the best mattresses to purchase but they often forget the significance of best sheets. Many of us experience loss of sleep and that’s mainly due to rough and scratchy sheets. You can have an amazing sleep if you are lying on a sheet that makes you feel like they are made of clouds. Before purchasing, you will surely want to educate yourself and this buying guide will help you choose the best sheets possible.